' [Birth Mother] First Mother Forum: Impressions of the 2016 ASAC Conference: Good Job! Impressions of the 2016 ASAC Conference: Good Job! That adoption is not a universal good and that it is fraught for the adopted individual--and natural mothers go into a certain kind of hell--was for me the overall takeaway at the sixth biennial conference of the Alliance for Adoption and Culture (ASAC) last week in Minneapolis. At a panel on Adoption and Social Engineering--it could have said Adoption as Social Engineering--Kori Graves of the State University of New York at Albany--spoke of how black families were carelessly, but systematically, denied the pathway to adopt black children in the past, and the movement to have white families adopt transracially began. That adoption might be better regulated with an eye to reducing the actual number of adoptions came out at another session. Overall it was refreshing to walk away knowing the conference did not present adoption as this warm and fuzzy concept that was a wonderful answer to parents who could not have "their own" children, or who adopted because "there are so many babies that need to be adopted." Yet how pervasive is adoption among the educated class was evident in two encounters I had with other women at the hotel who were not attending the conference. Another one was going on at the same time, same floor, where the business center was also located. Chatting at the elevators while waiting was common. One woman asked what conference I was associated with, and when I told her, she immediately offered with a huge smile that her daughter was adopted. The elevator door closed behind me as this she imparted this information, and I happily I did not have to react.The other woman, in expensive jeans, a fab jacket and boots to die for, offered that she had had to adopt her daughter--the daughter was born by surrogate and had to be legally adopted after birth. Again I was glad the door shut behind her as I got off and she rose to a higher floor. As for the conference, having me there as the first night keynote speaker was a signal that attitudes had changed since I attended the 2007 ASAC gathering in Pittsburgh. There I had felt like an outlier. I ate several meals alone. However this year--with attendance from a huge number of adoptees--many if not most who had been adopted transracially--the attitude was a shift away from that previous chill I felt as a natural mother amidst the pro-adoption crowd to a rich understanding of how any adoption involves pain--of the adoptee, and the birth/biological mother. Minnesota is home to many Korean adoptees, due to the influence of Holt International and Lutheran Family Services--which fed a lot of Korean children into the area--and many of those adoptees are academics themselves and they were well represented at the conference. A general awareness that they were possibly unnecessarily adopted--due to the eagerness of the agencies involved and the unfortunate social policy of South Korea--pervaded the conference. Any social-welfare money in South Korea went to orphanages rather than helping families recover from the devastating effect of the Korean War, which did leave a great many children without parents. Due to the dire poverty initially many did need homes out of country in the Fifties and Sixties, but when it was time to shift the policy, the government stayed the course and the number of out-of-country adoptions, instead of shrinking, continued to rise. Some parents who took their children to an orphanage, where they would get food and an education, intended to claim them at a later date, say, when the harvest was over. But often parents found that their children had been sent away and adopted in one of several countries: the United States, Sweden, Norway, France, Italy, Belgium. This displacement of children from Korea, which had the effect of bolstering the economy of South Korea, is one of the great tragedies of that era. One speaker, Liz Raleigh from Carlton College, wryly noted that anything that calls for more restrictions and safeguards in intercountry adoption, such as the Hague Convention, is considered "anti-adoption," a comment that I particularly welcomed as we at FMF of course are considered anti-adoption. We are against promoting adoption, we wish adoption could be replaced with permanent guardianship without ever changing a birth certificate, and we find that far too many unnecessary adoptions take place. If that makes us anti-adoption, so be it. I made a new friend of an adoptive mother of two full siblings in a totally open adoption, but she agreed that the relationship she and the children have with the other mother and her husband--who live 80 miles away--is unusual. But mothers who had relinquished were rare indeed. I only met two others, though there may have been some I was unaware of. First mother Kate Livingston, who teaches women's, gender and sexuality studies at Ohio State University, chaired one of the sessions. Ms. Livingston. a member of ASAC's executive committee, is young, and while the organization needs more birth mothers like her, it is impossible to note that saying that means there has to be more smart, educated women who surrender their children, not something we encourage. Quite the opposite. Well, that went over like sand in your coffee. Silence. At the reception afterward, only one women deigned to talk to me, an adoptive mother who said it was hard for her to hear my words because so many of the adoptive mothers--herself included--felt as if the child in question was "meant for her." But she was open about how my reading challenged that, and she was the only adoptive mother I met that weekend who didn't react as if I were the measles. I remember walking over to one of the sessions with an adoptive mother from the Netherlands who had presenting a paper on "kinning," a theory of how the adoptee became part of the adoptive family and its history. I tried to be friendly, but she was having none of it. We walked in silence. Marley Grenier, Maryanne Cohen and Carol Schaefer were there, so I did have some allies. Now I wasn't overrun with adoptive mothers dying to talk to me this time--and most of them were academics, which I am not--and so many had professional connections. Due to the location this year--downtown Marriott Crowne Plaza--we had access to a lobby area that everyone passed through on the way to the sessions. Chairs and couches there made it amenable for a quick stop, or coffee and a bagel in the morning, and thus, a place to chat. I ended up talking amiably with adoptive mothers/academics and of course, adoptees. The large percentage of adoptees at the conference had changed the overall dynamic. Penelope Needham, Minnesota AAC Representative and an executive board member of the Minnesota Coalition for Adoption Reform, provided a bright smiling face and friend to come across during the three days. And a few readers of First Mother Forum were there, and I met them afterward. That was a boon! My talk would be mostly old news here. The subject, suggested by ASAC executive committee member Marianne Novy, was Reunion--Before and After, which of course comes right out of Hole In My Heart. I began by saying that being there as a speaker at such a conference was the last place in the world I ever wanted to be--having my expertise stemming from the fact that I had given up a child for adoption. "You wouldn't wish this on your sisters, your friends, your daughters...and if your daughter is adopted, she is seven times more likely than the non-adopted population to give up a child like me." That got their attention. I did lay out in detail how horrific it is to give up a child, what the era of shame was like, and how those adoptees dealing with searches needed to understand the fears and feelings of the mothers they might be finding today. I may publish what I wrote here, however the talk took on its own language as I only took notes to the podium. Take a written script and you are likely to read it, which is not the way to enthrall an audience. the move to change the language to one more comfortable to natural mothers has not reached academia in any great measure. The younger mothers have not heard anything else, and not only do not mind the term, they were unfamiliar with anything else. I ended up saying at a session that I prefer biological mother when referring to me. Anyone considering adoption--especially from another country--should read this book of essays by intercountry adoptees. I cannot praise it enough. It is very very sad, beginning in Korea, with the author's vivid memories. But it is beautifully written. A classic for many adoptees in search and reunion. Jean's honesty may be hard to confront for some natural mothers, but it will help you understand your child at reunion. Anger, compassion, vivid. Emily's account of her finding her family and a longing for unconditional love. Emily,who is at the University of West Georgia, is on the executive committee of ASAC. Just amazing. The author has returned to South Korea and is instrumental in trying to change social policy there. Trenka is the president of the organization TRACK (Truth and Reconciliation for the Adoption Community of Korea). Thank you for fighting the good fight. As the winner in the lose-lose-win of adoption; I’m humbled buy you’re never backing down on this vital subject. Reading FMF daily has changed me to be a better adoptive parent and a better person. The image of Lorraine dining alone at a 2007 ASAC conference says it all. Because of my rather uncommon "surrender" circumstances, I am late to the table discussing the trauma of losing a child placement outside my family. I find that when the subject comes up, people rooted in religion and in 1960's upbringing, all to often quickly tell me that they have adoptees in their families and those adoptees are loved and treated the same as everyone else AND those adoptees have no desire to meet their birthmothers. Are they trying to assure me that probably no one will show up at my front door or are they trying to tell me to shut up and bug off. I've not yet had the courage to ask those questions. I am grateful for the natural mothers who've been speaking up. It makes it easier for the rest of us. I'm getting more centered in the reality that my life and my capacity to bond throughout my life was demolished by how I was treated back in the mid 1960's. "AND those adoptees have no desire to meet their birthmothers"
Meh, more like the adoptive mothers do not KNOW that we adoptees not only look, but find our mothers and others. Adoptive parents are not the one's to ask what the adoptee does, thinks or feels. They seldom know the truth. "of course I love you mummy (fingers and heart crossed) and my inheritance"
The people whose backgrounds are rooted in the 60's and religion don't think that adoptees need to find their mothers. Tha was what they were told back then. What's even scarier to me are the new breed of happy birth-mothers, and society that came of age being told that infant adoption was a loving, kind selfless option if you cannot provide a life filled with material things. This new breed is very judgmental, telling natural mothers that once they sign the papers, their child is not theirs anymore. Even in open adoption. They still look down on these birth-mothers, even as they sing their praises. Old school, new school, adoption still separates us from our families. Infant adoption is still demolishing lives. You would think we would know better by now. Yes! Crippling lives for generations to come. Money and social scientists reign here. In regard to, "more restrictions and safeguards in inter-country adoption", there are good things in the works. Go check out DOS-2016-0056, or the federalist . com an article on Obama administration make international adoption a lot harder. DOS being the Department of State. The item mentioned, a proposed change of regulations has a comment period that runs until November 22. The proposal sounds FABULOUS, to me. I hear ALL THE TIME that so and so knows adoptees or has adoptee siblings who "aren't interested." 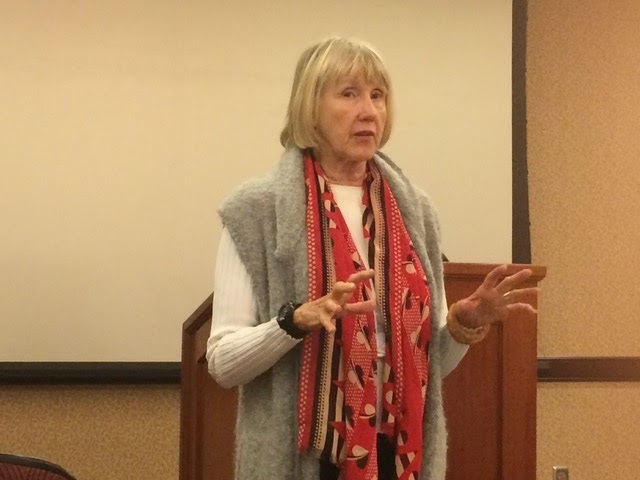 I spoke to first mother/authier Patricia Discheler yesterday and she said that when she gives talks and people come up to hear and says that, she responds: Well, it's your fault, if she is speaking to the adoptive parents. Just a few negative words, or the disinclination to talk about the adoption, and you have squelched the willingness of the adoptee to talk about their feelings openly. I used to meet a lot of these people at ALMA meetings in the city; their adoptive parents had no idea they were searching! Adoptees say that they "aren't interested" because they are scared to death. From day one we are told where we came from is not important. We are told biological relationships are not important. We don't have any biological connection to anyone growing up so we have no idea of what that feels like. I "wasn't interested" until I gave birth to my daughter and experienced a biological connection to another human being. I looked at her and saw myself reflected back and realized for the first time that biological connection matters and it is important. I then knew I had to find my mother and the rest of my family and that they were important to me. Our society is very much against this and no one seems to understand how important it is for an adoptee to have this connection restored. Our reality is that we have two families, the one we are raised in and the one we come from. Amen, Julie. Happily, I was told by my excellent social worker (and a mother herself) that I would never forget. The immediate pain would lessen she said, but she acknowledged that I would not forget. This came after she knew that I thought the sealing of the records was abominable as it put me in an emotional coffin for ever. I railed against that then, and I haven't stopped saying how inhuman that is since! And I won't! Thanks for the mention, Lorraine, I'll add to it... I meet a lot of adoptive parents at conferences where I speak as a birth mother and they are adamant that their child does not have questions about their biological mother or a desire to meet her. And yes, my response is: That's your fault. Whether conscious or not, adoptive parents influence a child's view on everything, adoption views included. A simple "we'll talk about that later" when a child asks where their biological mother lives, or a short "I'm sure she's nice" with a subject change when asked what she's like. I tell them the worst one is when they say "Would you like to know about your biological mother? Making it a question implies that it's something they might not like to do. And, add that to all the little cues they've picked up on for years, children easily will take the road out and say no. I also point out how unfair it is to put the weight of this decision on a child. You wouldn't ask a six year old to make a decision on what school they'd like to attend or what doctor they should see. This is big stuff! They can feel it. Any reasonable child would cave and run from a decision they are not equipped yet to make. If adoptive parents would instead just start talking, with enthusiasm, about this wonderful woman, the child would grow up knowing her and wanting to know her more. I was very fortunate, this is what my son's parents did, and because of them we have a wonderful relationship. My heart is sad for all the children raised otherwise. Julie I am an adoptee who is having a daughter in a month (and who was also pressured by my daughter's father to give my daughter for adoption) and I relate so much to your comment! I threw myself into researching this subject and now have so much empathy towards my first mother and I want to find her. I told myself for thirty years that that wasn't what I wanted, but it is. Thanks! I added the link to the blog post. Excellent Report, Lorraine in characterizing adoption "...a certain kind of hell..." shared by adoptees and first mothers. Like ours, the Korean "tragedy" is criminal. And now we have "kinning" creating the adoptee in the image of adopters ancestors. Hilarious if it were not so heart breaking. Hole in My Heart is my favorite, and that letter to Jane, no words. If many of the adoptive families were to authentically listen and process truth re adoption, it may very well bring down their world of unmet demons. Good job. No surprise here. Lorraine, I am so delighted to read this review of the conference. I know you went with some trepidation in your heart from your last experience in 2007. It is interesting that the demographic of the participants has expanded to more adoptees since then, as well as a few birth mothers. I wonder if Ann Fessler's, _The Girls Who Went Away_ which was published in 2006, had some impact on opening up the conversation. I know she is active with ASAC. And regarding the need for more college educated first mothers being more represented - I understand your critique that we don't want that, but my guess is they are out there. After all, not all smart, well-educated first mothers started out with supportive families. Reaching them will be a challenge, however, as the one academic arena that should be examining the impact of the world of adoption on women's reproductive lives - Women & Gender Studies or Feminist Studies - has barely scratched the surface. Despite immense figures like Loretta Ross who have rigorously re-examined the ideas of reproductive rights and called for a human rights approach resulting in reproductive justice instead, feminist scholars still seem to be tone deaf. It is interested to note that the two of you were speaking around the same time at two different conferences - she at CUB in Florida and you at ASAC in Minneapolis. And unfortunately, I wasn't able to attend either. It would be great if you both could present at the same venue at some point! Thank you so much Lorraine. I am a biological mother and heard you speak at the conference. Was so refreshing to hear from someone who "gets me". I could have listened to you all night. Life has been a downward spiral for me since relinquishing my daughter forty-four years ago. I have been "as sick as my secret" for long enough. I am determined to live my remaining days to the fullest with my head held high. Thank you! Lorraine-I was glad to see on First Mothers Forum that your talk at the ASAC Conference was going to be opened up to the public! I'm so glad that we were able to come and hear you speak about your experience in person. It was definitely worth the drive. We also enjoyed visiting with you afterwards! Thank you for your blog-it has been helpful to me. My mom is also a first mom.